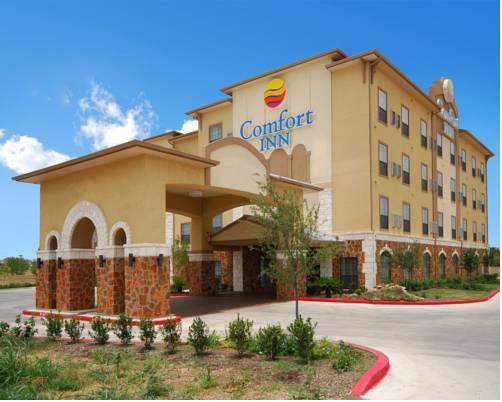 Get everything you need to be at your best when you stay at our Comfort Inn near Seaworld hotel in San Antonio, TX. We are close to Seaworld San Antonio, Lackland Air Force Base, San Antonio College, Market Square and Six Flags Fiesta Texas. Our hotel offers every guest a free breakfast, free WiFi, indoor pool, fitness center, free weekday newspaper and a laundry facility. Each room comes equipped with a TV, hair dryer, coffee maker and desk. Join our Choice Privileges program today and start earning rewards points with your next stay. *Some amenities may require an additional cost.